What is your focus when picking a video converter? Price, performance, or ease of use? Actually there are only a few video converters having such powerfulness to have all those delightful features. Freemake video converter is just one of them (see top 5 video converters for PC). But can Freemake Video Converter win a perfect victory? If it can’t, what is the best Freemake alternative and Freemake alternative for Mac? 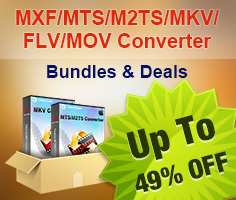 -Convert between various audio and video formats including AVI, MP4, WMV, MKV, 3GP, MP3, etc. -Convert online videos to MP3. -Perform conversion for iPhone, iPad, Android, Xbox, PSP, etc. -Upload videos to YouTube for sharing. -I've been trying to convert mkv videos with freemake video converter to play on my itouch, but now the rendered files are always green. -Video and audio are out of sync with Freemake Video Converter. -Freemake Video Converter crash and close itself during conversion. -Clicking noise when the movie converted by Freemake Video Converter starts playing. The multifunction ability of Freemake Video Converter is great and attractive, but not professional in every aspect. The lack of profession may arise many problems like the above mentioned. And the deadly weak point that Freemake Video Converter has is that it is not compatible with Mac, which has made it less popular among Mac users. Pavtube HD Video Converter for Mac fully deserves the title of best Freemake Alternative for Mac because of its high performance, and two major platform supports. -Convert 1080p/720p MKV, MOV, MXF, MTS, AVI, MPG, VOB and more to compatible formats for iPad, iPhone, Android tablets and smartphones, HD media players, game consoles, etc. 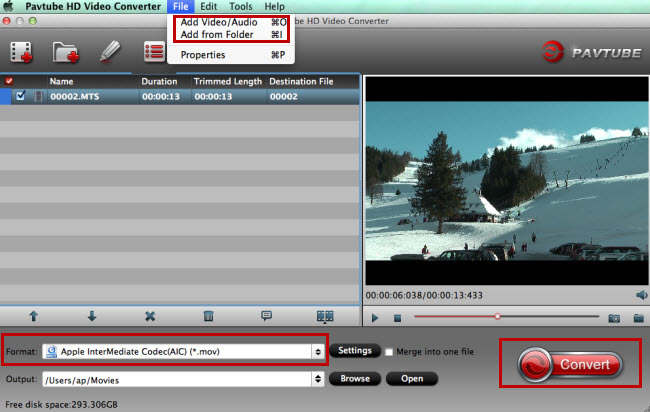 -The Freemake alternative for Mac can output ProRes/DNxHD/DVCPRO/AIC and other codecs for NLEs on Mac, which cannot be achieved by Freemake Video Converter. -Supported OS: Mac OS X 10.9 Mavericks, 10.8 Mountain Lion, 10.7 Lion, Snow Leopard10.6, Leopard 10.5, Yosemite 10.10. -Batch conversion to save time and energy. -The full installation of Freemake Video Converter takes more than half an hour while this Freemake alternative for Mac only takes several seconds to finish the installation. -Unlike Freemake, this Freemake alternative for Mac allows to convert, optimize, extract audio and video clips without audio and video not syncing problem.